People, things, food, and actions – these are just some of the categories that can be drawn in the insanely addicting social drawing application called ‘DrawSomething’ developed by OMGPOP. Reports at Forbes.com says that “since it was released in February 1, 2012, the app has surpassed 30 million downloads (and now adding more than a million users a day).” In fact, “users of the social drawing app have created over 2 billion drawings, and exchanging 2,000 to 3,000 drawings a second with one another.” Good for advertisers, Draw Something’s ads went from zero to 200 million impressions per day. 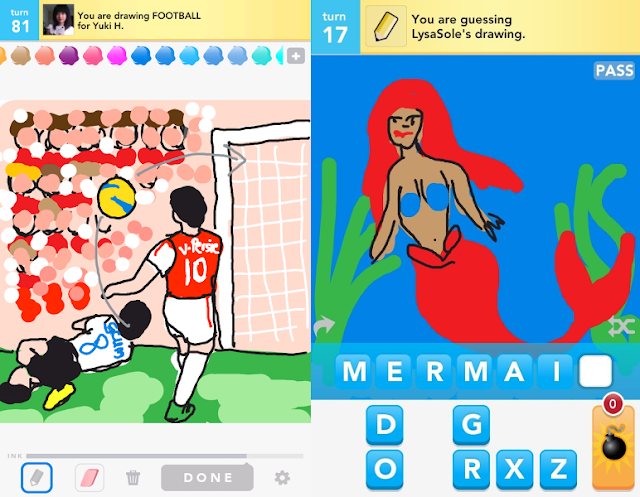 DrawSomething is basically a digital form of the pre-loved game ‘Pictionary’ with additional features and capabilities. The rules are pretty simple – you are given three words with difficulty levels of easy, medium, hard and each level corresponds to one, two, or three coins. Once you choose a word, say “medal” you have to illustrate it with a virtual finger painting on your phone or tablet. When you’ve sent the drawing to your friend, he will be able to watch every step of your feeble attempt at art, including your erasures, then tries to guess the word given jumbled letters. Each correct guess will earn you and your friend coins, which can be accumulated to buy color palettes for drawing aesthetics and bombs for times you can’t understand your friend’s drawing and is absolutely desperate to guess the word. The game has no time limit. You are allowed to guess the word again and again until you get it right. If and when you give up on a certain round, your winning streak goes directly back to one and you have to continuously play again. Playing DrawSomething would require internet connection. You can play with either your Facebook friends, with people whose username or email address have been registered or just anybody random that the application chooses for you. However, you don’t have to be logged in all the time. Simply play with several of your friends by sending your doodles, then you can close the app and do your daily tasks. Once you get back online, your friends’ artworks will be loaded for you to guess and draw-back all you can. The game is available in both Apple (iPod Touch, iPhone, iPad) and Android devices. 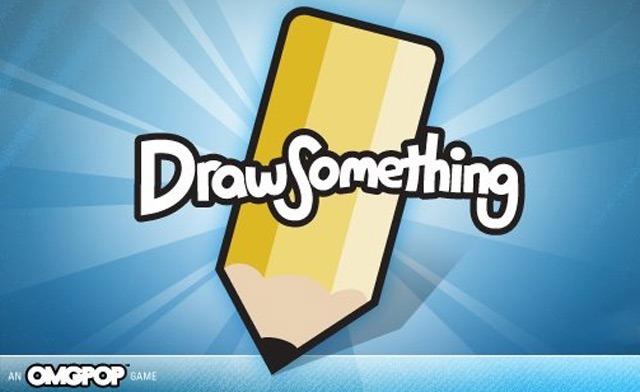 Draw Something basic app is free, but an ad-free version would cost $1.99. It’s definitely easier to play this game using a tablet or perhaps a phone with a stylus. Nevertheless, it’s absolutely a time-killer and a laughing machine as you see how your friends would draw “Brad Pitt” or “Jolie” among others. And oh, it will surely drain your battery. Some updates I would like to see in the newer versions of DrawSomething: (1) timed guessing and drawing option, (2) leaderboard for top scorers feature, and (3) integration to Twitter and Facebook where one can post about the game from the app, just like Temple Run. This article is my 57th contribution to Manila Bulletin -- one of the Philippines' leading broadsheets -- published on March 26, 2012 (Monday) in the TechNews Section. You can view the PDF version here (lower right portion).